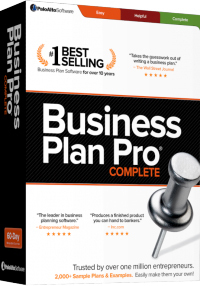 Business Plan Pro Academic Edition is the most popular business plan software in academia, used and respected at thousands of colleges and universities around the world. It allows instructors to focus on teaching business planning and students to focus on writing their business plans. Get inspired with examples of complete business plans. Each sample plan can be edited directly in Business Plan Pro and used to jump-start your own plan. Instructors can easily manage student plans with the streamlined sample plans included in the Academic Edition. Why choose Business Plan Pro? The academic edition of our business plan software makes it easy to teach and learn business planning. Note: Due to this product being a download, it is non-refundable.